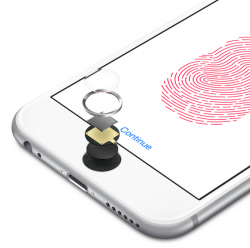 The patents are primarily related to fingerprint and touchscreen technology that could lead to Touch ID improvements on future devices. Last February, well-informed KGI Securities analyst Ming-Chi Kuo told investors that the next iPhone will have an improved Touch ID with reduced errors. Update: MacRumors has heard Privaris essentially shut down roughly five years ago, so this certainly appears to be a patent portfolio purchase rather than a full acquisition of Privaris by Apple. Products based on patents acquired from Privalis are not for everyone. Ask your doctor if Privalis is right for you. Women whose babies are pregnant or nursing should not use Privalis. "For example, one of Privaris' patents covers the ability to use a touchscreen and fingerprint reader at the same time." Home button-less iPhone 7 anyone? What ever happened to the guy that invented the wheel? Where is the iMac with TouchID button for logon ? We are working on it and it will be very thin. Every time Macrumors mentions "KGI Securities analyst Ming-Chi Ku"....Somewhere a Kitten Dies. That will lead to "pushed-middle-too-hard-and-cracked-screen-gate". Great thought, and I'd love it, and wanted such a thing since even before the 1st iPhone was launched. However we have one rather large problem, and that's Apple. Other companies are working hard to make bezels thinner and thinner, but Apple still stays in the past. Yes, well-informed. I nearly forgot.